Autism is a childhood neural development disorder where the affected child has difficulties in social and emotional abilities, communication and language, cognitive (thinking) and intellectual and physical skills. The body and mind of an autistic person work differently to most people leading to implications on how they experience and live in the world. Although autism maybe complex with no known cure at present, individuals with Autism demonstrate that they can overcome, compensate for and otherwise manage many of autism’s most challenging characteristics. Therefore, equipping affected children and those around them with a simple understanding of autism’s basic elements have a tremendous impact on their ability to journey towards a productive, independent adulthood. 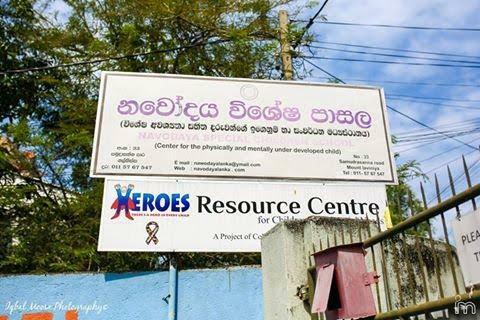 Recognizing this need, Colombo Cinnamon Round Table 4 (CCRT 4) has stepped forward to support children with Autism. Titled the HEROES Project, the initiative aims to support children with autism acquire necessary care to habilitate and lead an independent life, and aid parents cope and obtain the necessary training to raise their autistic child. 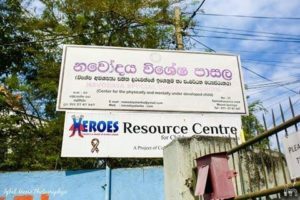 In addition, the HEROES Project plans to create a single resource for autism to support children across the island with the CCRT 4 Autism Centre. As the first Phase of the project, CCRT 4 recently handed over equipment’s to the Sumaga Special Needs School in Kelaniya. The school, founded in 1992 specifically to assist children with autism and other development disabilities, currently has nearly 80 students. “We identified that most children at our school can be developed through computer educational programs, sound activities and therapy games to improve their attention, behavior, eye-contact, as well as listening, language and reading skills. However, we had limited resources to carry out these activities. Now thanks to the support of the CCRT 4 this task is possible. 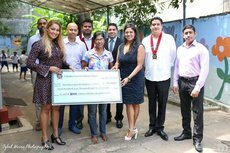 We are truly grateful to them for their help and their efforts to support this worthy cause,” Sumaga Special Needs School Founder Principal Swama Jayawardena stated. Through the second and third phases of the HEROES Project, CCRT 4 plans to further support the Sumaga Special Needs School through conducting train-the-trainer programs and providing better services to its children, com¬mencing operations of the CCRT4 Autism Centre and promoting island wide training programmes. If you wish to support this worthy cause, which hopes to create an environment for Autistic children children overcome difficulties and pave the way for an independent4ife, please contact info@ccrt4.org.